This weekend I would like to share some new research on issues of civic space and human rights defenders (HRDs). The Fund for Global Human Rights has collaborated with Conectas to produce Sur 26: Reclaiming Civic Space, the 26th edition of Sur – International Journal on Human Rights. This is a special edition of the journal, authored predominantly by activists for activists. It documents the resistance of human rights groups during a time of increasing repression and restrictions on civil society, and offers key insights on the strategies frontline activists are using to reclaim civic space. As you know, research about the global crackdown on civil society often focuses on how the crisis has manifested and its impacts. Little has been documented about the ways national-level civil society groups are responding to closing civic space, or the effectiveness of these responses. Moreover, international actors conduct much of the current research, and when frontline activists do produce analysis, it is often to inform the work of larger groups or to feature as case studies. Sur 26: Reclaiming Civic Space helps change this. The research documents the learning of activists from 15 countries, how they have evolved their strategies to reclaim civic space, and the challenges they experienced along the way. A letter to readers http://sur.conectas.org/en/sur-26-letter-to-the-readers/, authored by Juana Kweitel (Executive Director, Conectas Human Rights), Oliver Hudson (Editor, Sur Journal) and James Savage Program Officer of the Fund for Global Human Rights, provides insight into the special issue. This collaboration with Conectas is a component of the Fund’s Enabling Environment for Human Rights Defenders Program <http://globalhumanrights.org/issues/activism-under-threat/> , a global initiative that supports human rights activists to resist the crackdown on civic space. A cornerstone of the program is to support documentation by and learning between activists. Prior to the publication of Sur 26, with support from the Fund, Conectas brought together a dozen of the Sur 26 author-activists at a writers’ retreat in Sao Paulo. This opportunity helped the author-activists examine global and regional trends in closing space, discuss and share their strategies, review and provide feedback on each other’s texts, and reflect together on the importance of writing and documentation. The retreat enhanced and helped shape the final texts of Sur 26 while also providing a valuable space for frontline human rights defenders to collaborate on their work. A video essay <https://youtu.be/fou-M3tb7WQ> , which was produced at the writers’ retreat, and offers a glimpse into the work explored throughout the 26th edition of Sur. Sur 26 is published in English, Spanish and Portuguese. Tags: Brazil, civil society activists, Conectas, environmental activists, Fund for Global Human Rights, Human Rights Defenders, James Savage, Juana Kweitel, research, Sur – International Journal on Human Rights. China OR the UN must ensure independent investigation into death of Cao Shunli ! 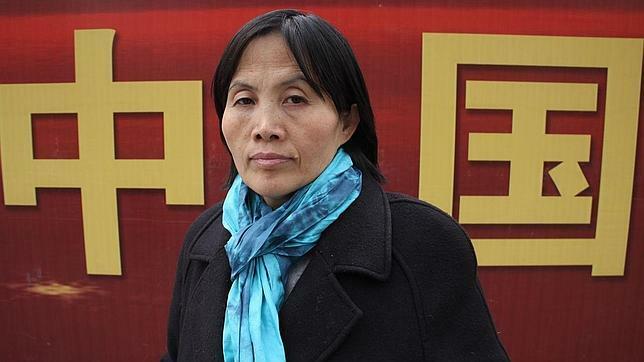 When late Chinese human rights defender Cao Shunli – as Final Nominee of he Martin Ennals Award 2014 – got a standing ovation during the ceremony in October last year, we all said, with the 10 NGOs on the Jury, that we should not forget her. On 19 March 2015 in a statement to the UN Human Rights Council that is exactly what a group of NGOs [International Service for Human Rights and supported by Human Rights Watch, CIHRS, CIVICUS, Conectas, EHARDP, Article 19, HRHF and ALRC] asked for: Ensure independent investigation into death of Cao Shunli. China must ensure a full, independent and impartial investigation into the death of Chinese human rights defender Cao Shunli, ..If Chinese authorities are unable or unwilling to conduct such an investigation in accordance with international standards, the Human Rights Council as the world’s top human rights body must take appropriate action, the statement said. The statement highlighted the negative effect of impunity for cases of intimidation and reprisals, as shown by the numerous reported cases of intimidation and reprisals occurring during the 28th session of the Human Rights Council, including against South Sudanese and Bahraini defenders. The legal and moral obligations of States to protect those who cooperate with the UN are clear, and if a State fails to conduct stop reprisals or to properly investigate allegations, the UN has a responsibility to act, the statement said. ‘We welcome recent advances on the institutional level, such as the treaty body policies that recognise States’ primary duty to ensure accountability in the case of reprisals, and the UN’s own duty of care,’ said Eleanor Openshaw, Head of Reprisals Advocacy at ISHR. ‘However, in the absence of a more systematic approach, such as through a dedicated focal point on reprisals which could coordinate investigation of and follow-up to individual cases, these steps will remain the proverbial drop in the ocean’ The statement is available as a PDF and video. Yesterday, 7 March 2014, saw many expressions of solidarity with women human rights defenders at the occasion of International Women’s Day. Ilwad Elman – a Somali women human rights defender. You can find many more cases via the Women Human Rights Defenders International Coalition [http://www.defendingwomen-defendingrights.org/] which brings together women activists and those committed to the advancement of women human rights and those working on gender issues, to advocate for better protection of women human rights defenders. via Honouring women human rights defenders on International Women’s Day! | ISHR.